Often times, fellow cat lovers ask me where they can buy sand cat pets. And I always have to disappoint them that it is neither possible nor recommended to get yourself a sand dune cat. They are wild cats who have adapted exceptionally to the desert conditions. 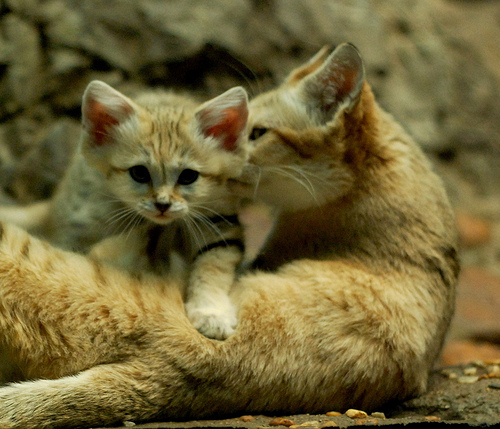 There aren’t many sand cats held captive in zoos, and even they haven’t adapted well, breeding in captivity being very hard and many of them dying at a young age. They will often have respiratory problems in captivity too. Thus buying sand cats is not recommended. Besides, there aren’t sellers in the open market either. And if they would be available for sale, it would be difficult to take care of them because after all, they are wild cats. If you are looking for a smaller cat as a pet, you may want to look into munchkins among other smaller types of cats. 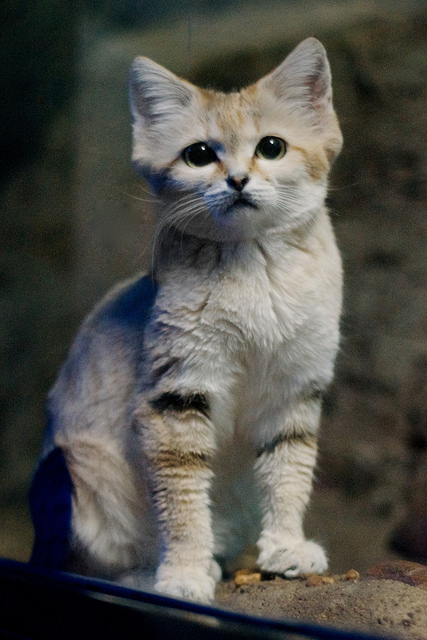 If you want to see a sand cat, your best bet would be to go to the nearest zoo that has them, as in the wild they are very hard to be spotted because of their camouflage and the fact that they are mostly nocturnal.